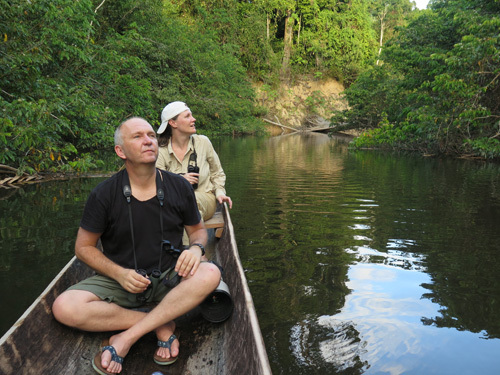 Marc Thibault recently posted an excellent report about a birding trip to West Papua. 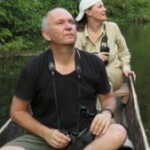 In it, he indicated that Mupi Gunung is reputed as a good site for mammal-watching and that he had seen Black Tree Kangaroo there. I emailed him, and he told me that he also saw D’Alberti’s or Reclusive Ring-tailed Possum (probably D’Alberti’s), and sent me a link which indicated that at least two and perhaps three species of Tree Kangaroos are possible at that site. This is very exciting, as I hadn’t heard of any sites at which Tree Kangaroos could be reliably seen in Papua! I hope to make it there sometime in the future. Melaleuca, Tasmania. not recommended for mammals. This is great Ben – thanks. I am going to start planning a 2019 trip to PNG and this is additional incentive! Would love to hear more about the Long-beaked Echidnas too. Jon, it’s a good thing all these birders are going to these places and writing reports for you.